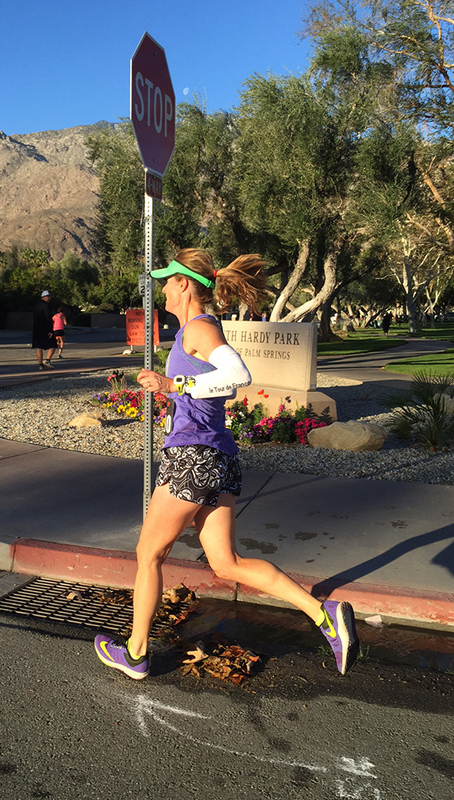 Today was one of those “magic” long run training days–when the weather, pace, scenery and effort all swirled together to make it seem like the day was meant just for me. Lord knows I’ve had my share of challenging long runs just like everybody else, when every step feels like a struggle, so when days like this come along, I have to take a few extra minutes to breathe deeply and appreciate it. Aaaah…perfection. Music pushed my pace this morning, making 12 miles zoom by in the blink of an eye. Hills along the way didn’t even faze me–for the first time in long time. As I glided along a mix of grass, dirt, and pavement, I watched a slew of happy surfers riding huge waves, saw dolphins playing, and butterflies flitting from flowers bursting with color. 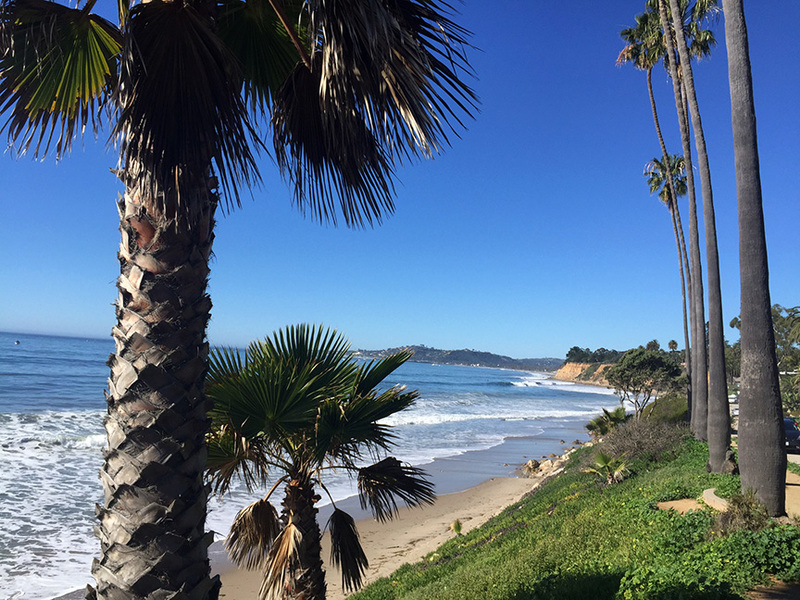 It was the quintessential Santa Barbara run (sorry all you East Coast friends–don’t hate me). Before I’d started, I’d made a preplanned route, then promptly veered from it, not only altering my course slightly, but the distance. Simply turning left instead of right added a whole new jolt of inspiration, and prompted me to add an extra mile because I was having so much fun. 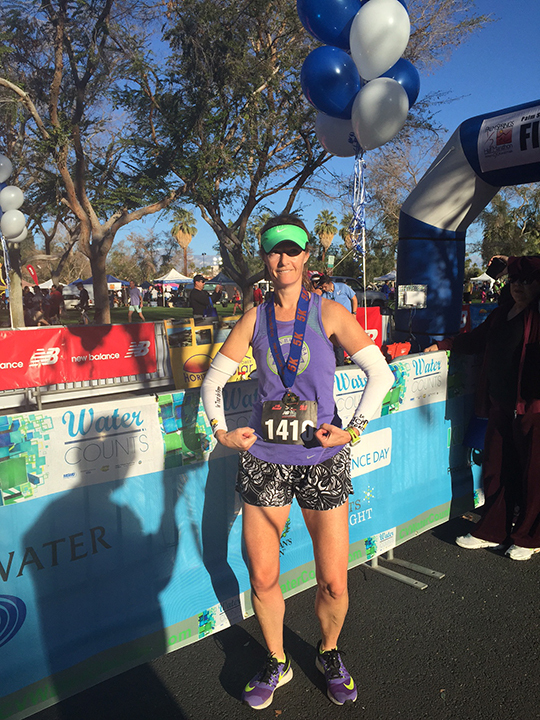 Flexibility has never been my strong suit as a runner, and it has often gotten me into trouble with injuries. I’m always one to stick to the plan instead of listening to my body, even if that plan is pure nonsense for where my body is at on that particular day. I’m working on shaking things up a little with my training and trying to roll with things during my workouts, especially in the midst of life’s messy schedule. Today’s run was the perfect reward for flexibility last weekend. 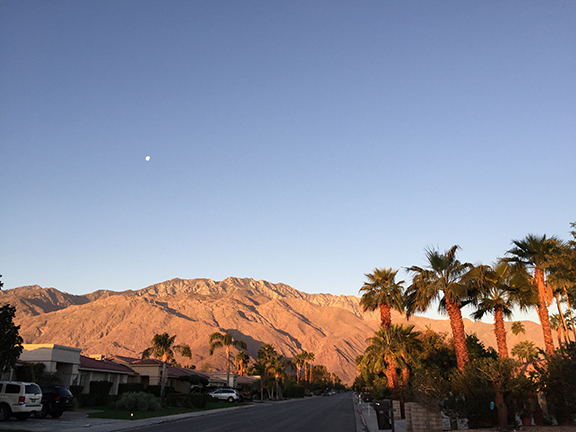 My family and I had driven to Palm Springs for a few days to visit my in-laws. Thirteen miles was slated on my marathon training schedule, and lo and behold, there happened to be a half marathon taking place while we were there. Perfect, I thought, even though I knew my body wasn’t ready to “race” that distance. My Type A runner’s mentality pressed hard against my reason, but thankfully, I came to my senses at the last minute and opted for the 5K. Not only did I thoroughly enjoy the race, but I won my age group, and more importantly, I didn’t suffer from having to sit in the car for 3 1/2 hours right after the race as we headed back home. Spending time with my family and traveling also threw in a couple forced rest days, which usually make me nuts. 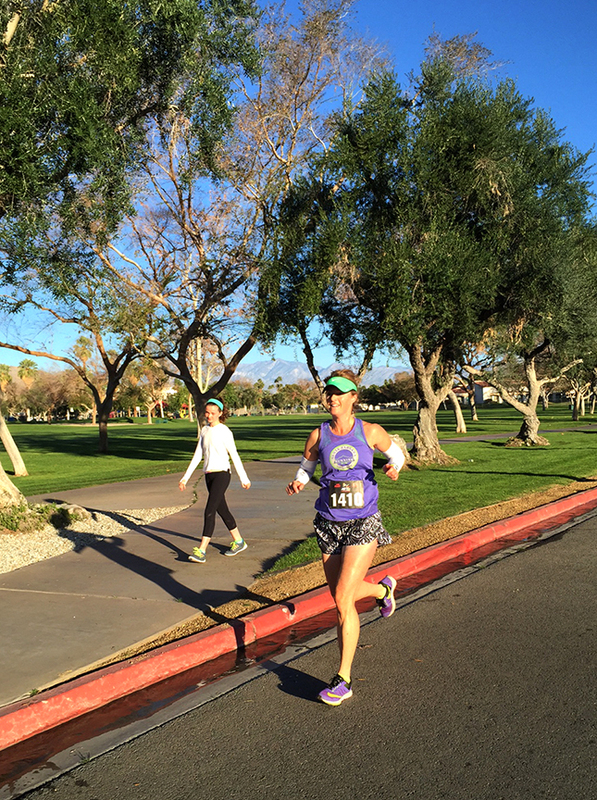 Knowing that certain miles are being neglected leaves me fretting about getting “sooooo behind on my training.” This time I was too busy enjoying myself and being in the moment to think twice about it. It was what it was. Period. Not only am I trying to work on my mental flexibility, but my physical flexibility, which has been rapidly declining in the last couple years. My hammies are perpetually tight, as are my calves and rigid feet. Don’t even get me started about my back, which is stiffer than a 90-year old’s. It’s pathetic, BUT not impossible to remedy. Yep, this creaky chiquita is finally starting to drag herself to yoga-pilates every Monday. And she’s loving it. The best part is that today’s run showed me that it’s starting to help. Small steps. Who knows, maybe now I’ll be inspired to add a Wednesday yoga class to see if that helps even more. 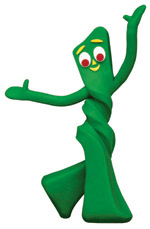 My hope is that by adding a little “Gumby-ness” to my life, every run will feel like today’s. Here’s to staying flexible and keeping it happy!